In 1957, Dr. Harry Hepner (Syracuse University) presented the idea of an organization for advertising educators to Robert Feemster, advertising director for The Wall Street Journal and chairman of the Advertising Federation of America. Feemster agreed such an organization would be a good idea and asked Dr. J. Leroy Thompson, first director of the Dow Jones' Educational Service Bureau, to invite teachers to attend the 1958 Dallas AFA convention. Hepner explained that there were no organization servicing advertising teachers in business and journalism schools. Gross and Drake, active in the national professional advertising fraternity Alpha Delta Sigma, did not join the Academy at the beginning. The others decided to proceed with the framework of an organization and named interim officers. At Hepner's recommendation, academic titles were used for the officers: Hepner as National Dean; Ross as National Associate Dean; George T. Clark, New York University, as National Registrar; and McCabe as National Bursar. The first year was devoted to increasing membership and developing a structure. The second national meeting was held in Minneapolis, June 7-10, 1959. The interim officers were elected to continue in their positions for a one-year term. At the 1960 Academy meeting in New York City, Hepner was named the First Academy Fellow. During the 1960-61 year, membership grew from 123 members to 241. The Academy established relations with the Association of National Advertisers, Association of Industrial Advertisers, and the American Association of Advertising Agencies. Today, the Academy has over 600 members. The Executive Committee of the Academy, which meets twice a year, consists of a President, President-Elect, Vice President, Secretary, Treasurer, Past President and Executive Secretary; the nationally-elected President of the Academy annually appoints over 100 members to approximately 15 committees. The Academy maintains relationships with many advertising-related associations, including the INAME and the Accreditation Council for Education in Journalism and Mass Communication. These purposes are mirrored in the objectives of Article II of today's Academy Constitution. The March 1963 AAA Newsletter carried two articles: "Education for the Trustees of 12 Billion Dollars Per Year," by Otto Kleppner, and "Scandinavian Advertising," by Royal Ray. By March 1964, the Newsletter carried articles by Arnold Barban (University of Houston), Charles J. Dirksen (University of Santa Clara), George T. Clarke (New York University), Louis C. Wagner (University of Washington), and Ed McGee. 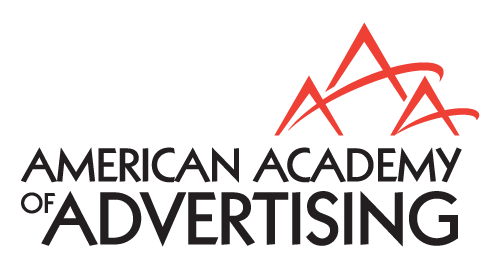 Today, the Academy continues to publish the AAA Newsletter, as well as the scholarly Journal of Advertising, Journal of Current Issues & Research in Advertising, and Journal of Interactive Advertising, as well as the Proceedings of the Annual Conference.